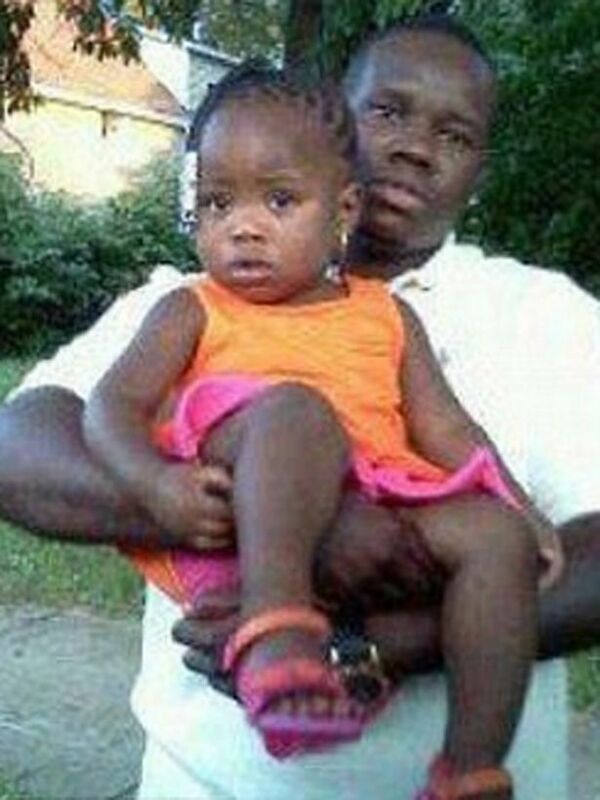 Anthony Lamar Smith with his daughter in a family photo. ST. LOUIS—The NLG is on the ground in St. Louis, MO coordinating legal support following thousands-strong protests that have emerged since the Friday acquittal of former St. Louis Metropolitan Police (STLMPD) Officer Jason Stockley, in the 2011 murder of Anthony Lamar Smith. Using tactics reminiscent of Ferguson, STLMPD have arrested at least 170 people— including protesters, three Legal Observers, journalists, and bystanders—since demonstrations began Friday. A few have been released on their own recognizance, and a number are being charged with felonies. The St. Louis NLG Chapter has been leading legal support efforts, operating a legal support hotline and St. Louis Legal Fund, and providing Legal Observers and defense attorneys with the help of ArchCity Defenders and ACLU of Missouri. The community is charging that STLMPD violated protesters’ rights—arresting people en masse without probable cause—and used excessive force during arrests, with indiscriminate and inappropriate use of tear gas and chemical projectiles. Disturbing footage of STLMPD tactics immediately circulated on social media. On Friday, police trampled an elderly woman who had been attempting to disperse before arresting her for “interference.” Sunday night, STLMPD “kettled”—a tactic in which law enforcement encircles a large group before arresting them for failure to disperse—about 100 people, while attacking them with chemical weapons. Shortly thereafter, a group of police chanted, “Whose streets? Our streets!” in a chilling display of intimidation. This brutal treatment of anti-racist protesters by law enforcement in St. Louis stands in stark contrast to the laissez-faire attitude of Charlottesville PD toward armed, white supremacist demonstrators during the deadly “Unite the Right” rally last month. Such hypocrisy that casts doubt over the violent intentions of the white supremacist far right, while criminalizing and demonizing the anti-racists who resist them, fuels the toxic “many sides” myth championed by President Trump and his following. Even evidence as blatant as Stockley’s declaration that he was “going to kill this mother****r” before the shooting was not enough to convince Judge Timothy Wilson of the officer’s intent to kill. It is this systemic racism that permeates our institutions and routinely fails people of color like Anthony Lamar Smith. 3/18/15: Following Ferguson DOJ Report, NLG’s Anti-Racism Committee and TUPOCC Demand Immediate Overhaul of Racist Law Enforcement Systems in the U.S.
8/19/14: NLG Strongly Objects to Oppressive and Discriminatory Law Enforcement Tactics in Ferguson, Mo. Posted in Press Releases and tagged Black Lives Matter, Mass Defense, NLG St. Louis, Police, Protest.